May we help you? Please call us at 613 234-4136, 1-877 754-4136. 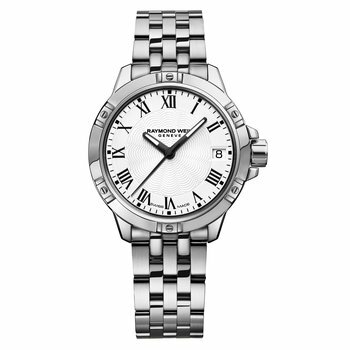 With its date window located at 3 o’clock, check both the date and the time in one simple glance at the wrist. 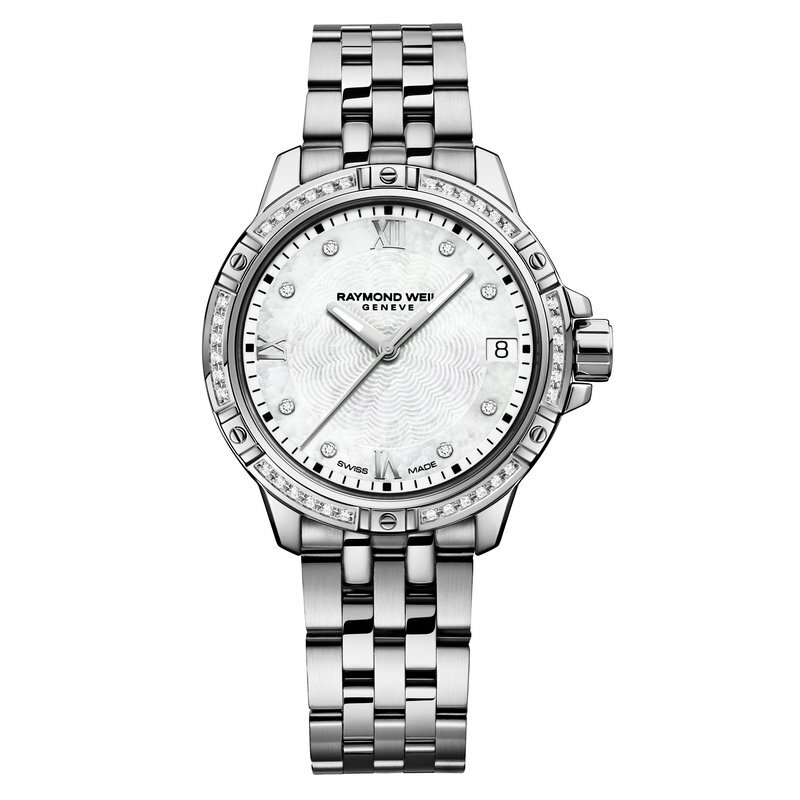 Featuring a 30mm stainless steel case, this tango classic ladies silver steel diamond bracelet watch has 44 .18-carat diamonds and a delicate mother of pearl dial, offering a unique look and feel. The tango classic ladies silver steel diamond wristwatch comes with a sleek stainless steel wristband and casing. Water resistant up to 100 meters with a scratch-resistant surface, it offers durability in a comfortable and stylish bracelet watch. A 30-millimeter face diameter and a Quartz movement all wrapped up in a luxurious package, keep time with the easily read analog display. Modesty and elegance are the key principles of this modern classic. 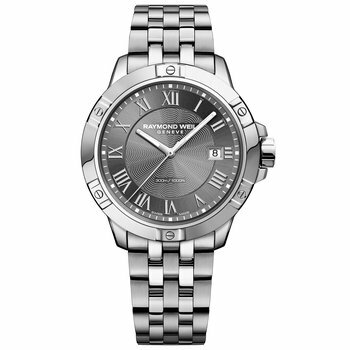 The tango classic ladies wristwatch comes with a sleek stainless steel wristband and casing. 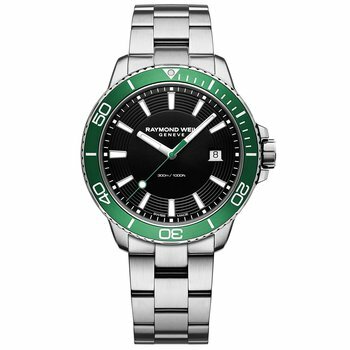 Water resistant up to 100 meters with a scratch-resistant surface, it offers durability in a comfortable and stylish bracelet watch. A 30-millimeter face diameter and a Quartz movement all wrapped up in a luxurious package, keep time with the easily read analog display. Modesty and elegance are the key principles of the this modern classic. RAYMOND WEIL has always strived to achieve watchmaking excellence and use its know-how and expertise to meet the prerequisites of the much sought-after Swiss made label. While this knowledge and the passion have been handed down from generation to generation within the family, so has the love of music! 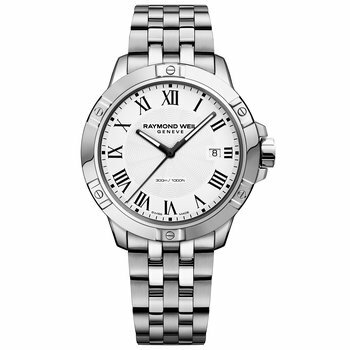 Music has always been an essential part of RAYMOND WEIL’s DNA. With over 35 years of involvement in the music industry across all genres, the Swiss watchmaker composes its timepieces the way musicians compose their chef d’oeuvres. Since 1939, we've been proud to serve the Ottawa community with inspiring collections, personalized service and trusted expertise. We love hearing from current and future clients. If you have any questions about our services or products, please call, email us through our Contact Us form, or simply visit us on Bank Street.